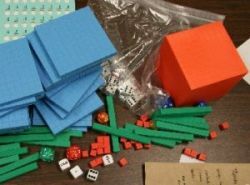 Our Math Resources page has an extensive collection of how-to explanations, annotated links to virtual manipulatives and online animations, handouts, grids and templates, and demonstrations for teachers and students to use. 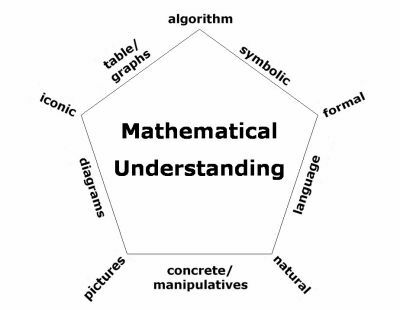 Visit our Math Standards page to link to the Common Core State Standards in Mathematics and Oregon Department of Education resources for K-12 Mathematics. The diagram above is an adaptation of Richard Lesh's translation model. For more information on SOESD's Math Resources, email Larry Francis.